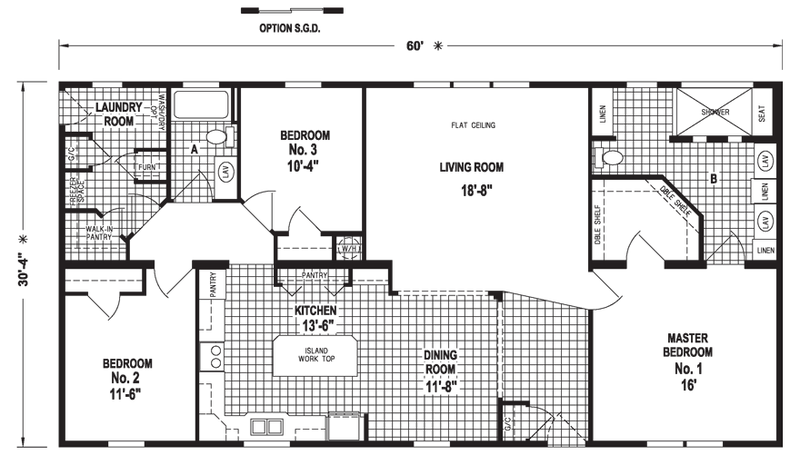 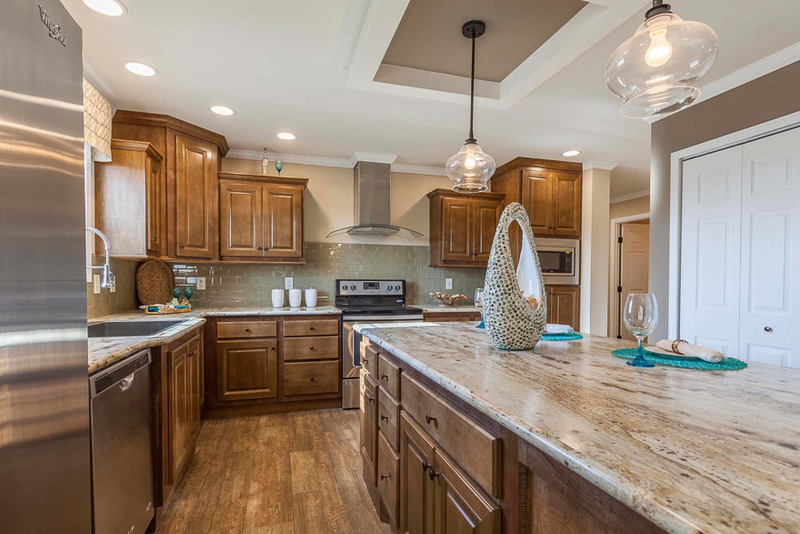 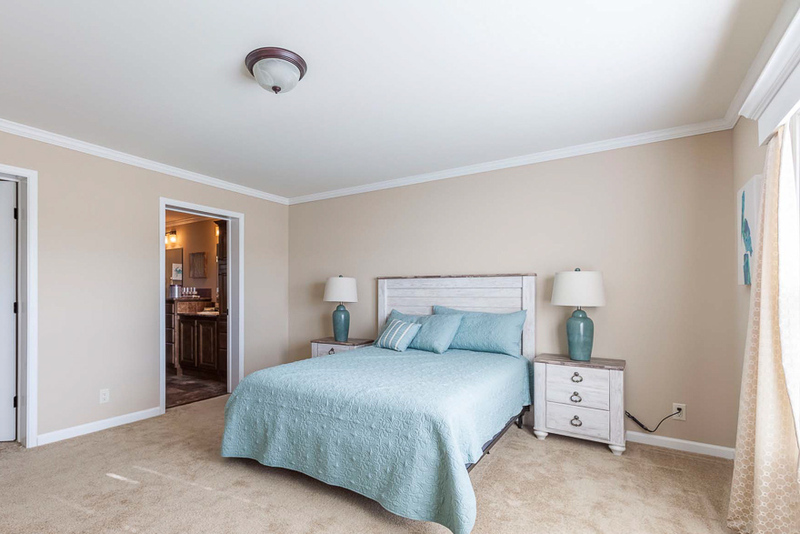 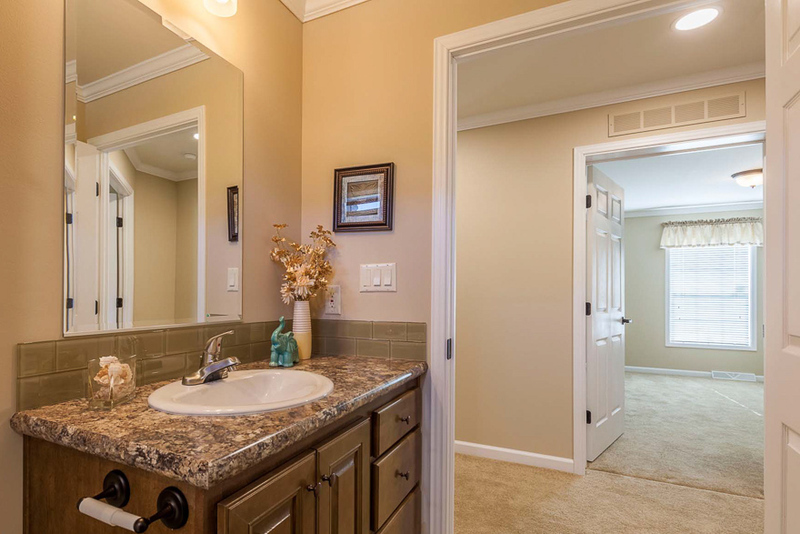 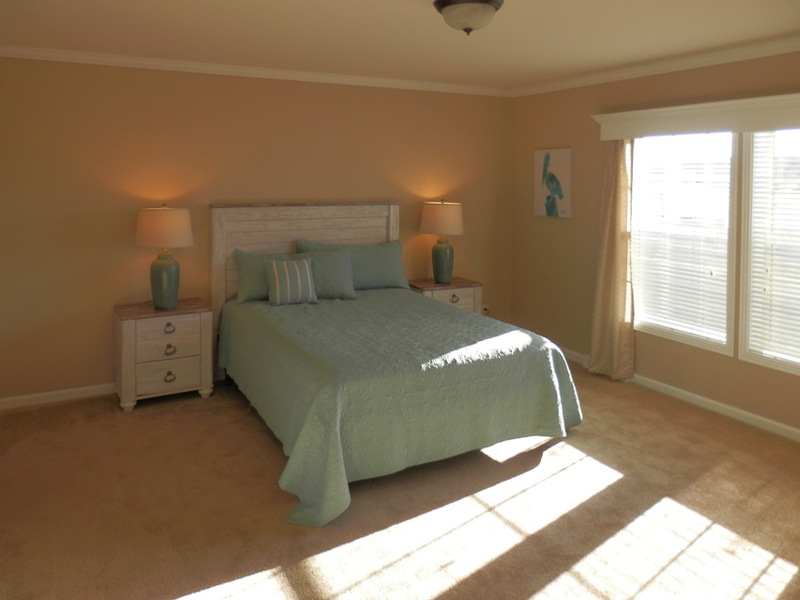 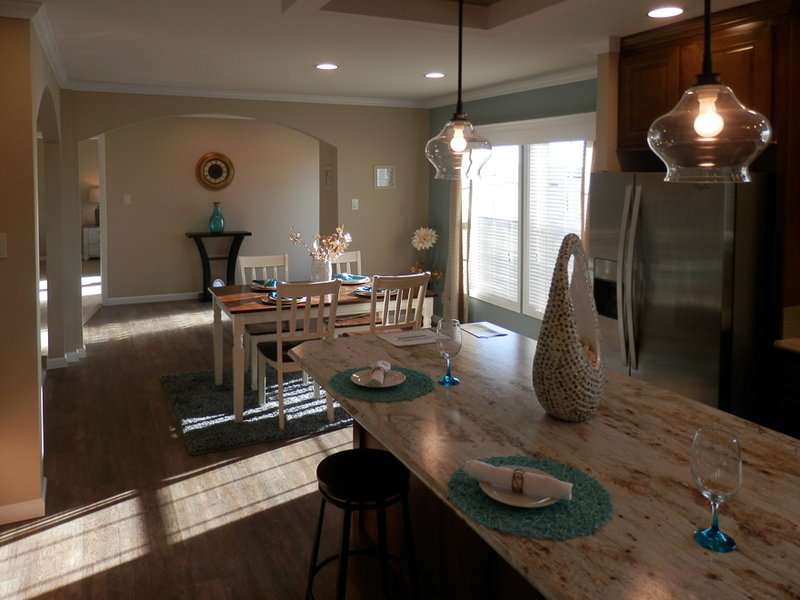 The Catlin model has 3 Beds and 2 Baths. 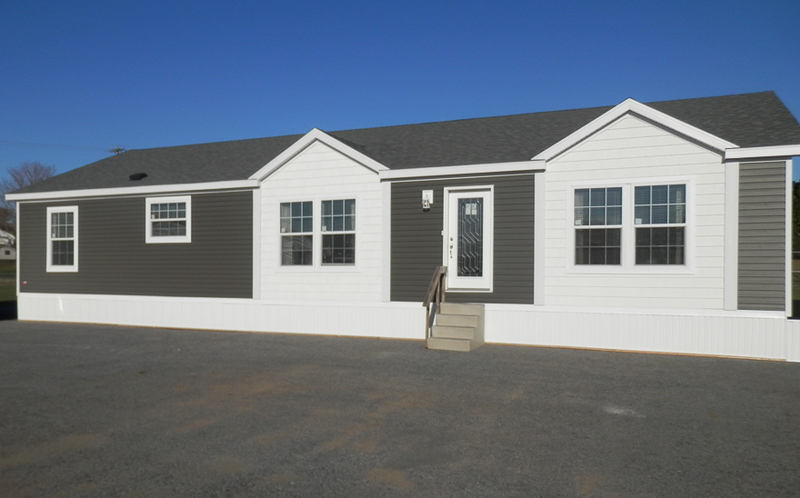 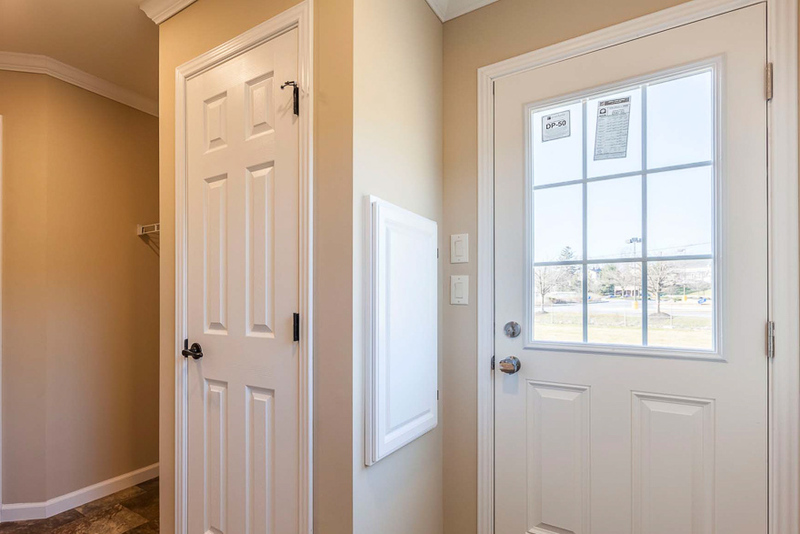 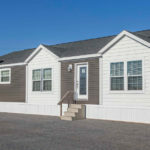 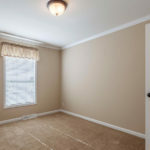 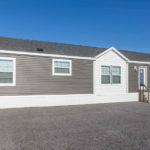 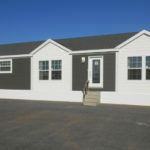 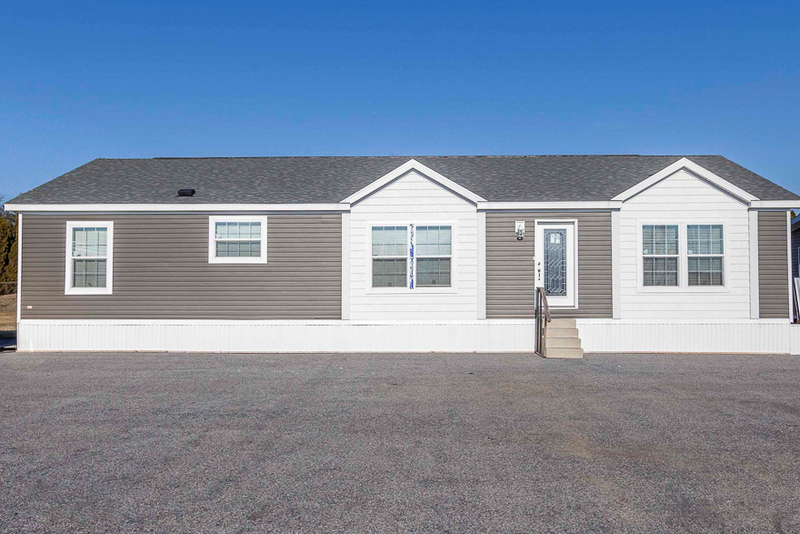 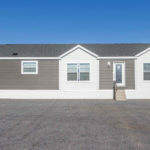 This 1820 square foot Double Wide home is available for delivery in Pennsylvania, New York, New Jersey, Massachusetts, New Hampshire, Maryland, Connecticut, Delaware, Vermont, Rhode Island. 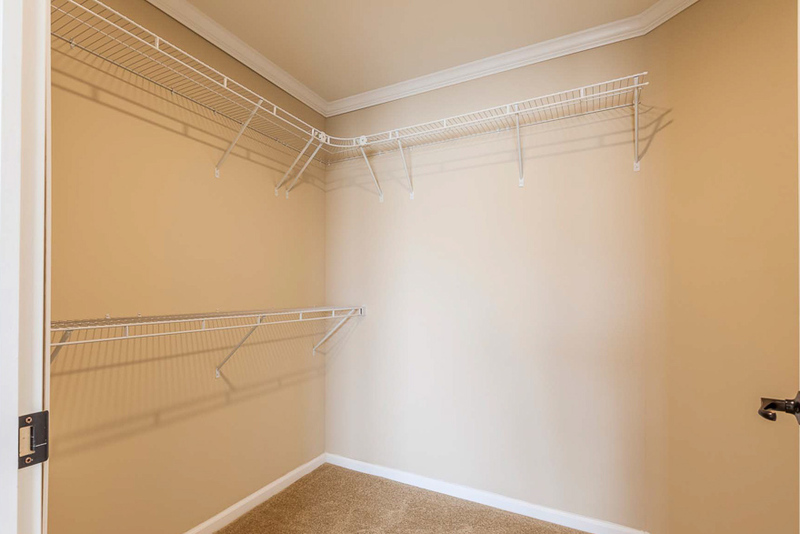 The Catlin model is greatness in a nutshell. 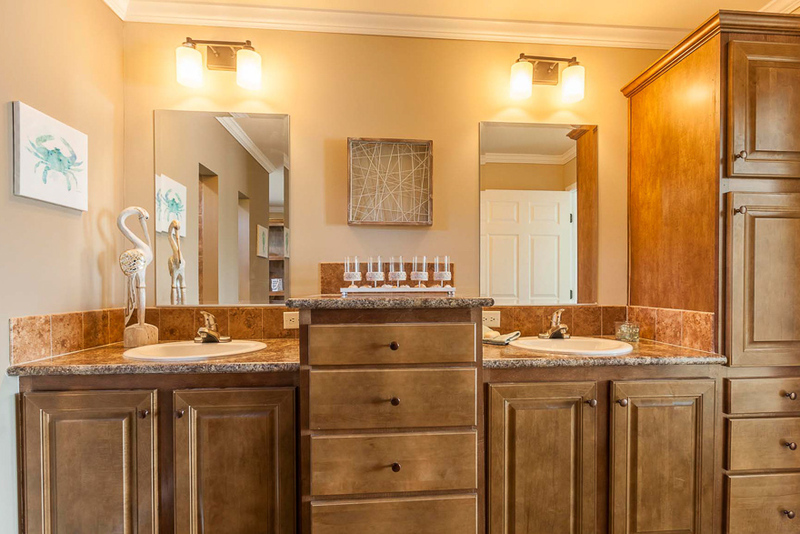 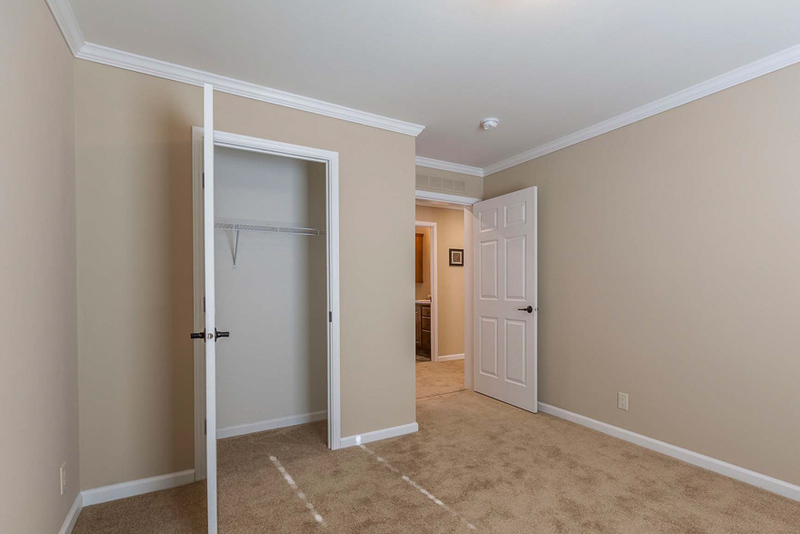 The private master suite, with its trio of linen closets, walk-in shower with built-in seat, his & hers sinks and huge walk-in closet with double shelves is truly a thing of beauty. 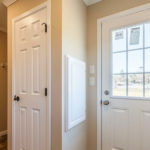 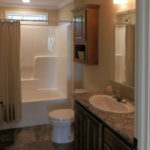 Ask about the optional sliding glass door. 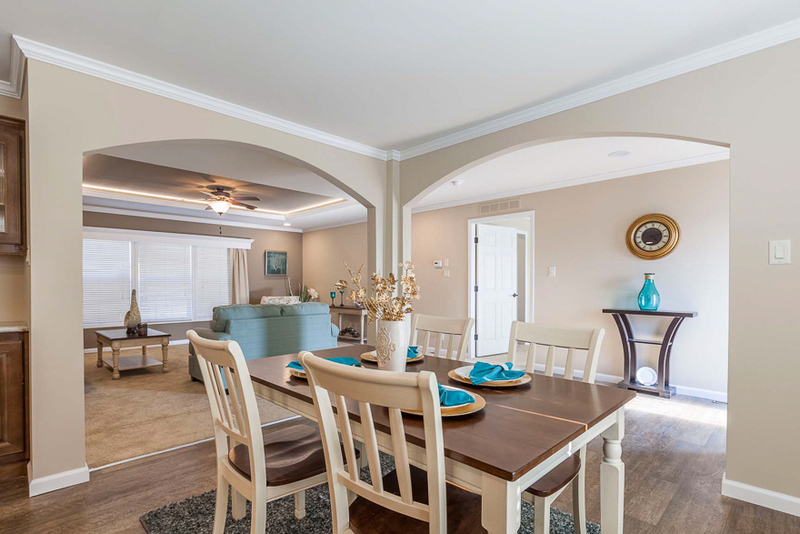 Catlin model shown with Standard Drywall and the upgraded Paint color (Desert Castle) Upgraded Archways lead to the Foyer and Living Room. 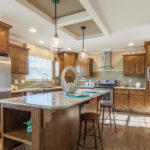 Catlin Kitchen shown with optional Electric Stainless Steel Appliance Package 36″ Curved Glass Range Hood, Bilt in Microwave in the Pantry, Coffered Ceiling Treatment and Pendant Lights. 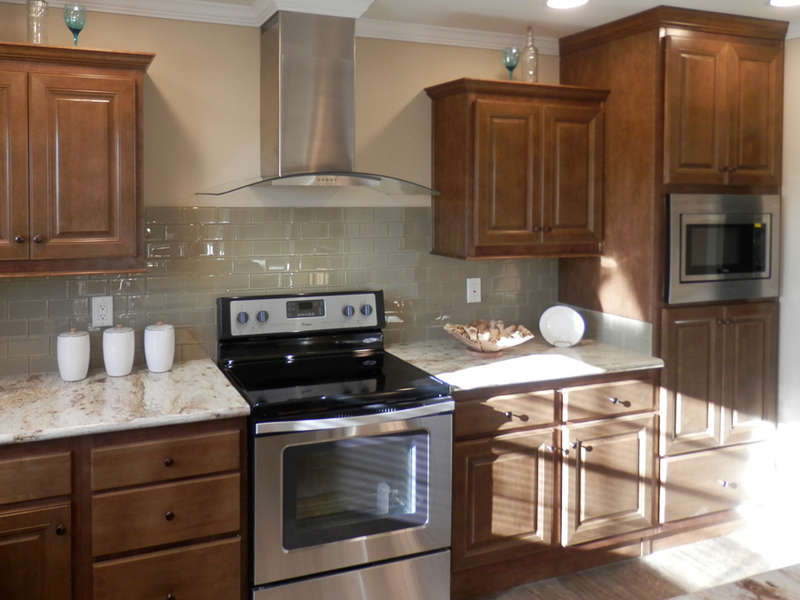 Upgraded Rivergold Counter tops, and Raised Panel Maple Cabinets. 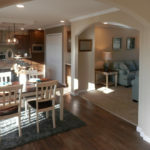 Dining/Foyer area shown with Standard White Cove Molding, Standard Drywall painted with the upgraded desert Castle color, 2 Optional Rounded Archways, optional Coffered Ceiling treatment and pendant lights over the island. 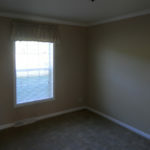 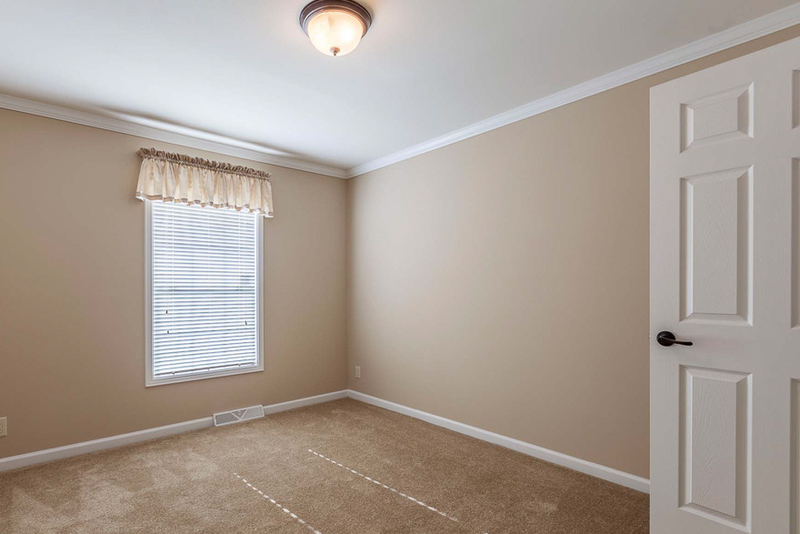 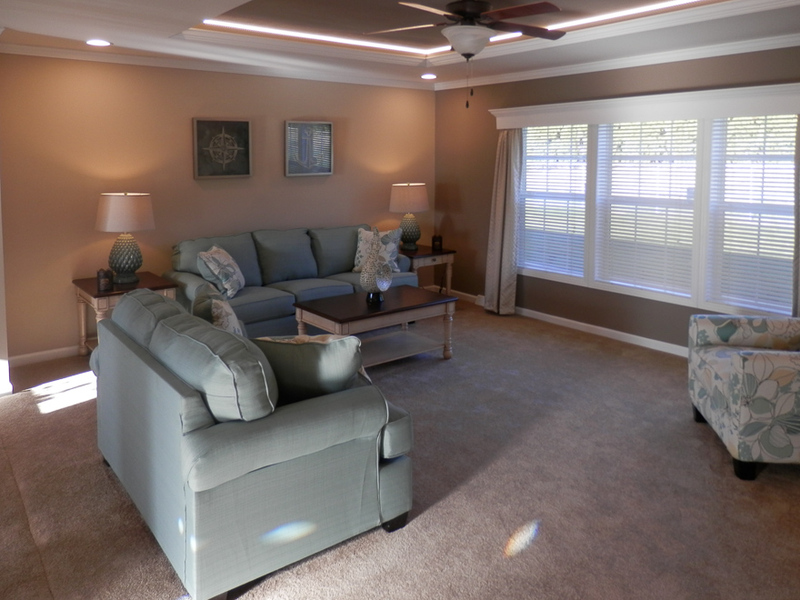 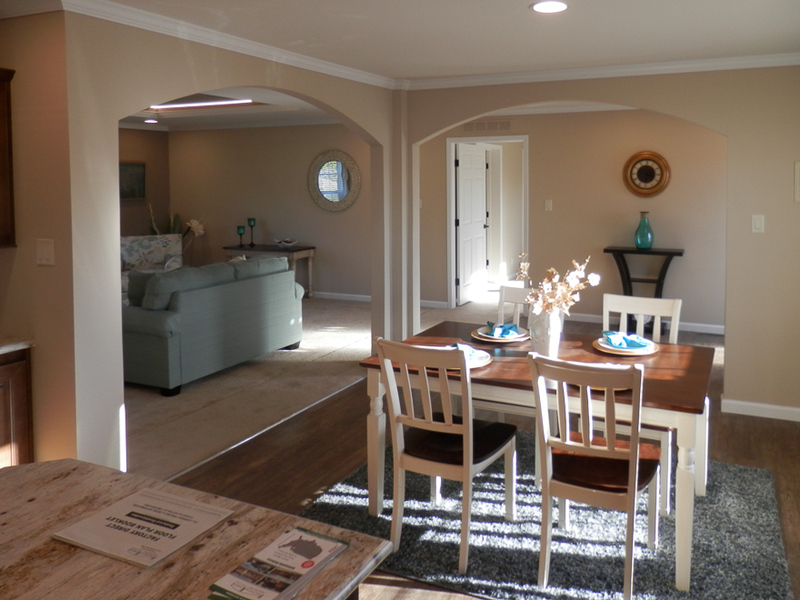 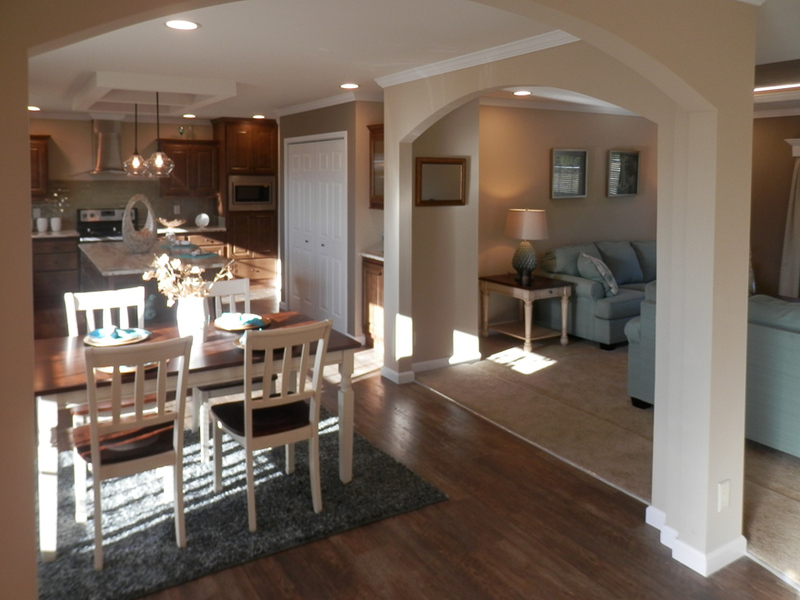 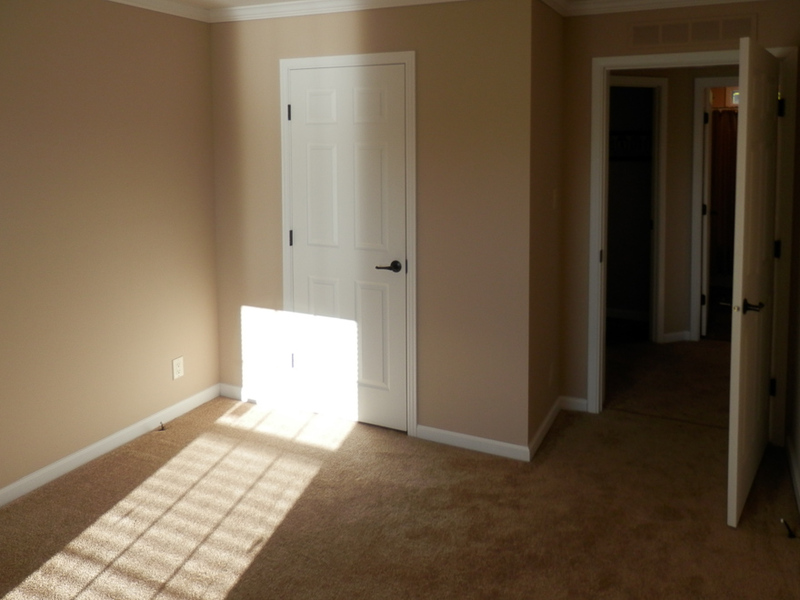 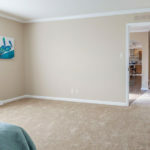 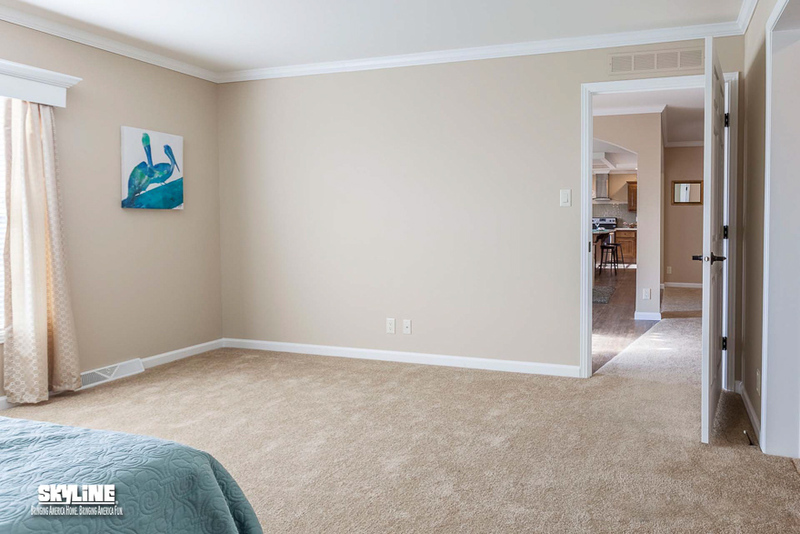 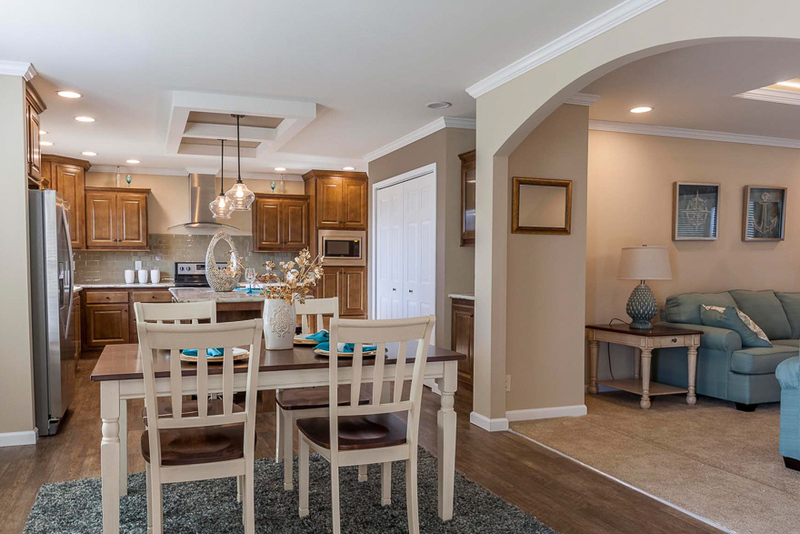 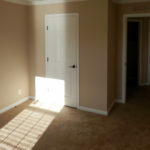 The home is shown with Standard 9501 Flooring in the Dining area and Jute colored New Day Carpet. 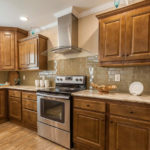 Upgraded appliances: Self-cleaning Smooth Top Electric Range, 36″ Curved Glass Range Hood, Stainless Steel Built in Microwave. 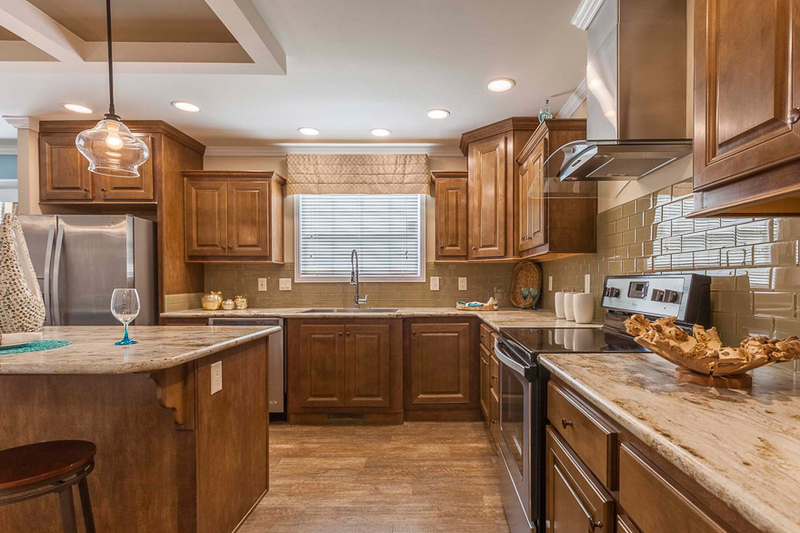 Standard Raised Panel, Maple Cabinetry with upgraded Full Glass/Tango Tan Back splash and River Gold Counter Tops. 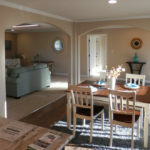 View from Kitchen into dining room. 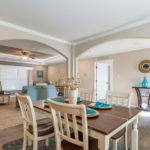 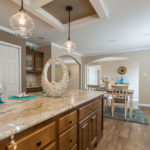 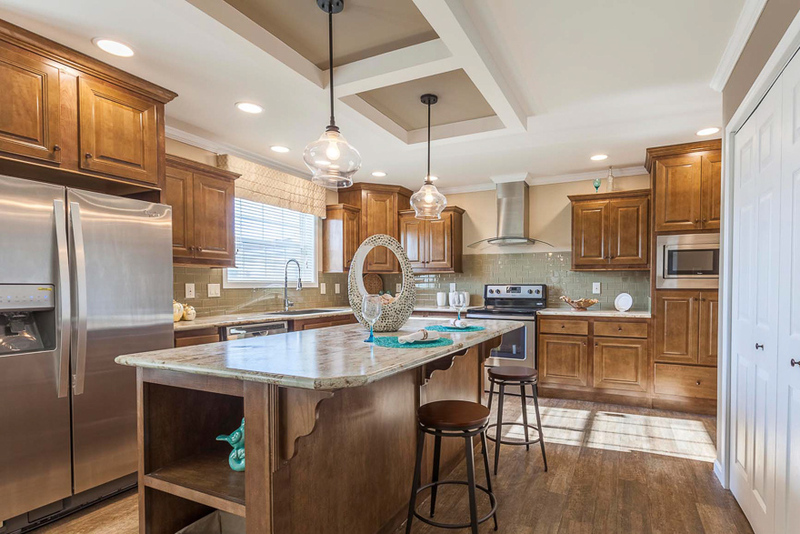 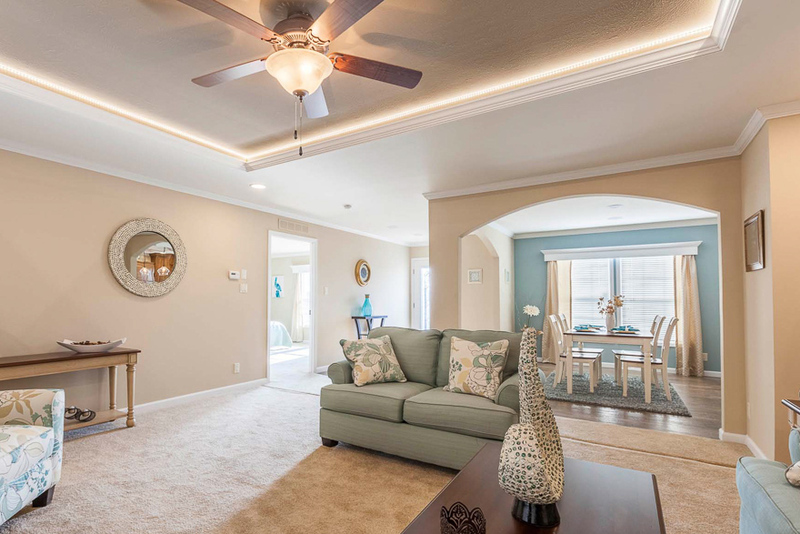 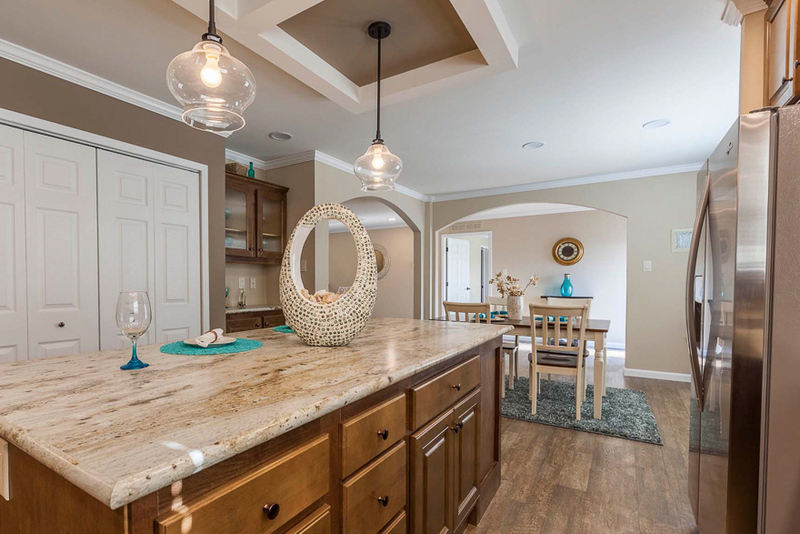 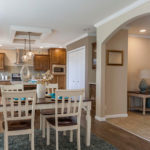 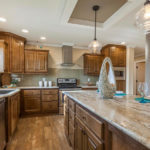 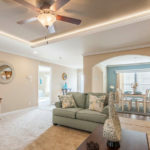 Walls are shown with Standard Drywall with Upgraded Paint Selections, Upgraded Archways, Pendant Lights, and Coffered Ceiling Treatment over the Island. 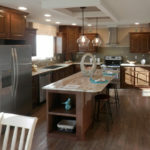 Island shown with upgraded Rivergold Countertops. 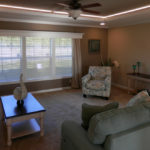 Living Room shown with Upgraded Tray Ceiling and LED Strip Lightss to accent the Tray. 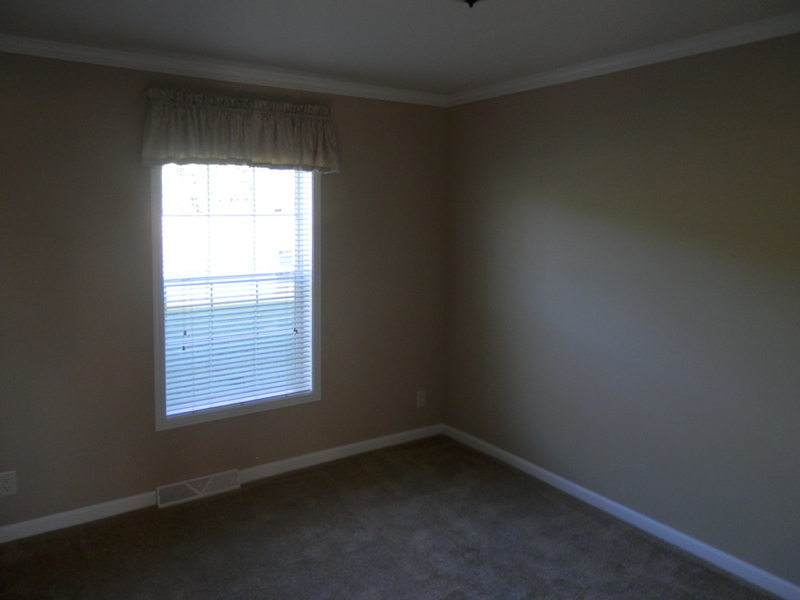 Upgraded Window Treatments are shown with Standard New Day/Jute carpet. 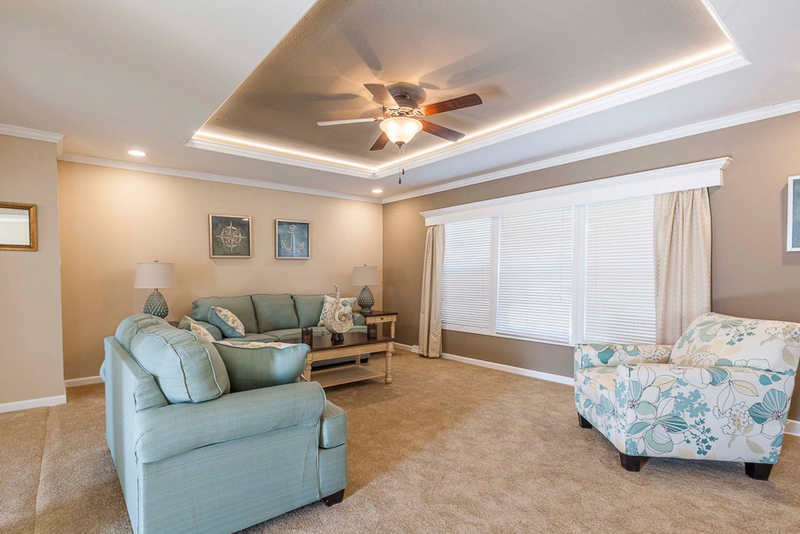 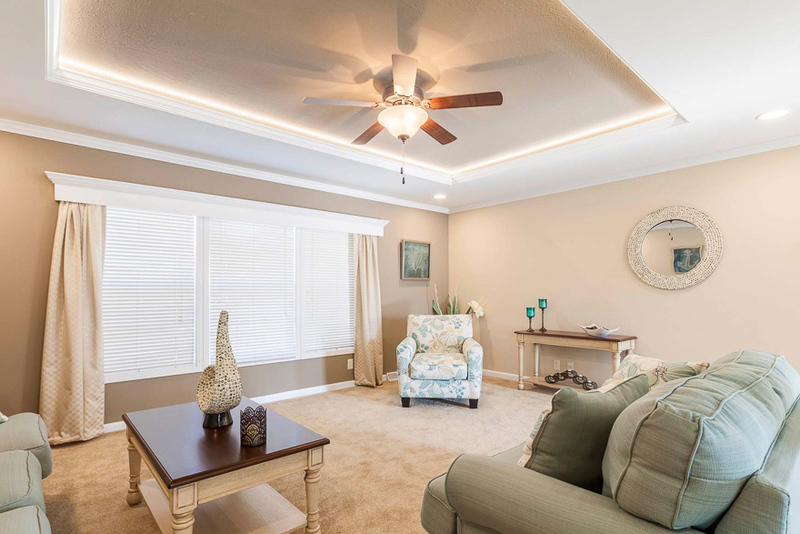 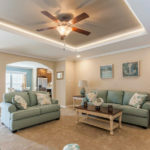 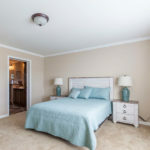 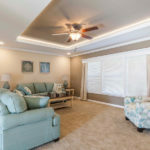 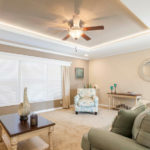 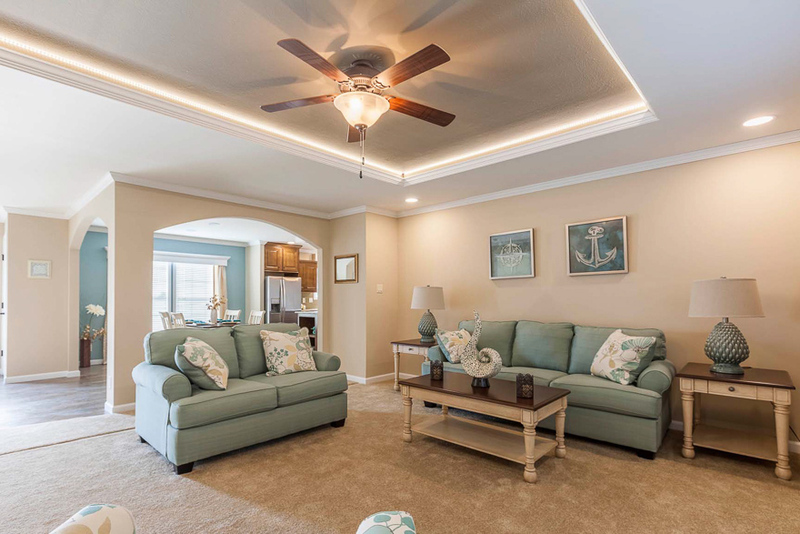 The Ceiling fan is Standard in the Wood Manor Series. 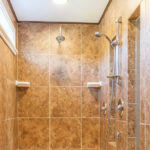 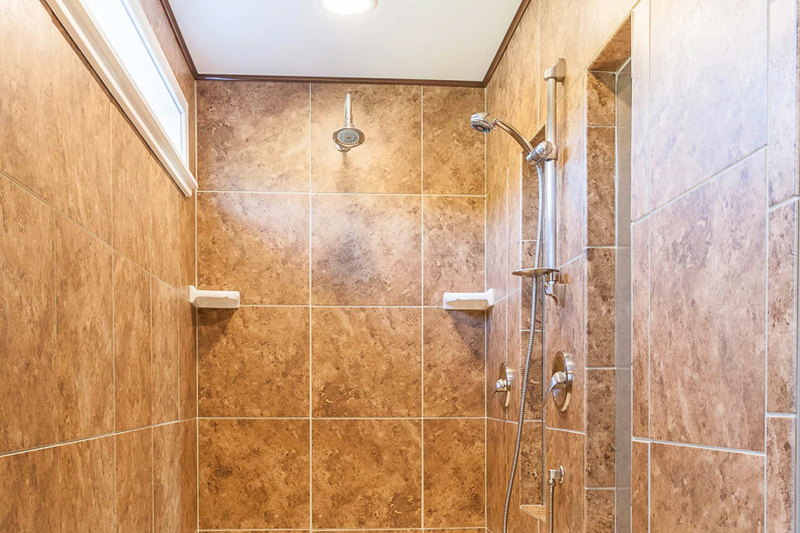 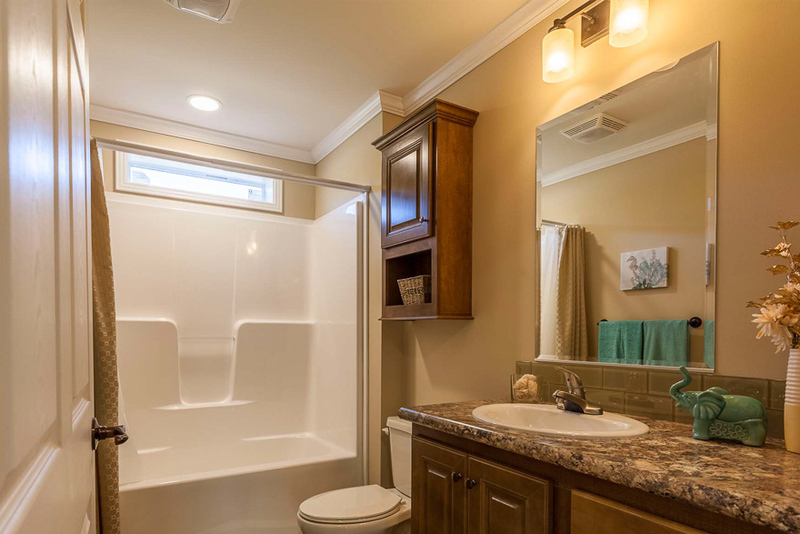 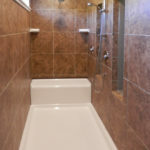 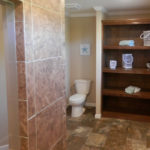 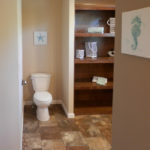 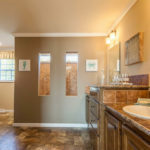 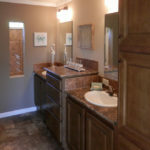 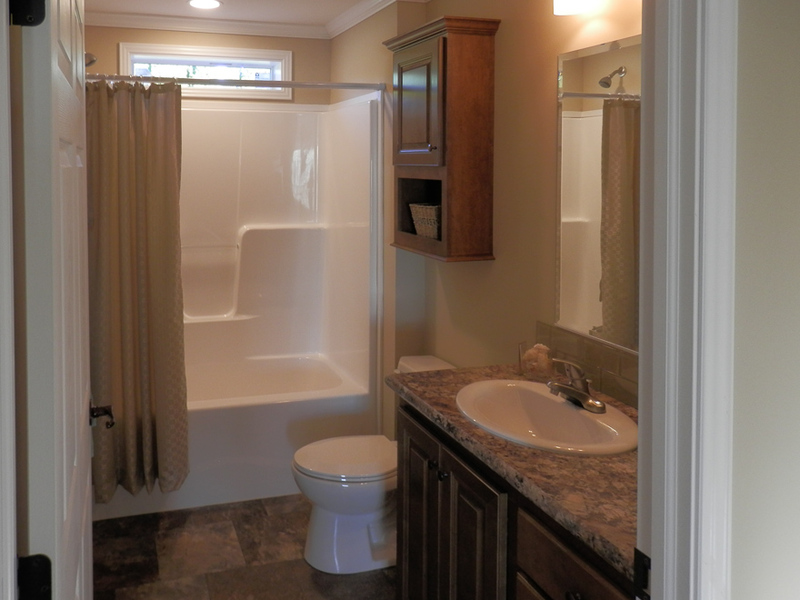 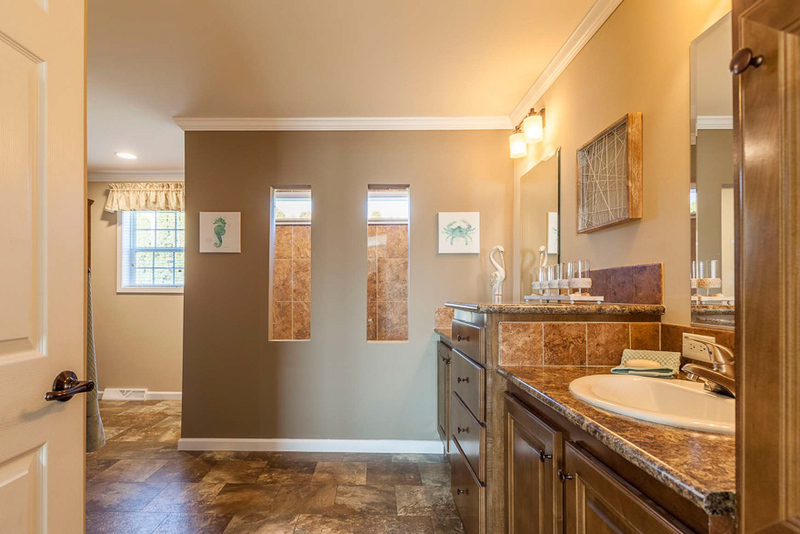 48″ x 84″ Large Walk in Tile Shower with Edgwood Tile and (2) 14″x48″ Transform Windows. 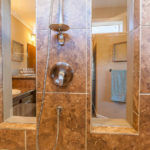 Optional Hand Held Shower Head Diverter. 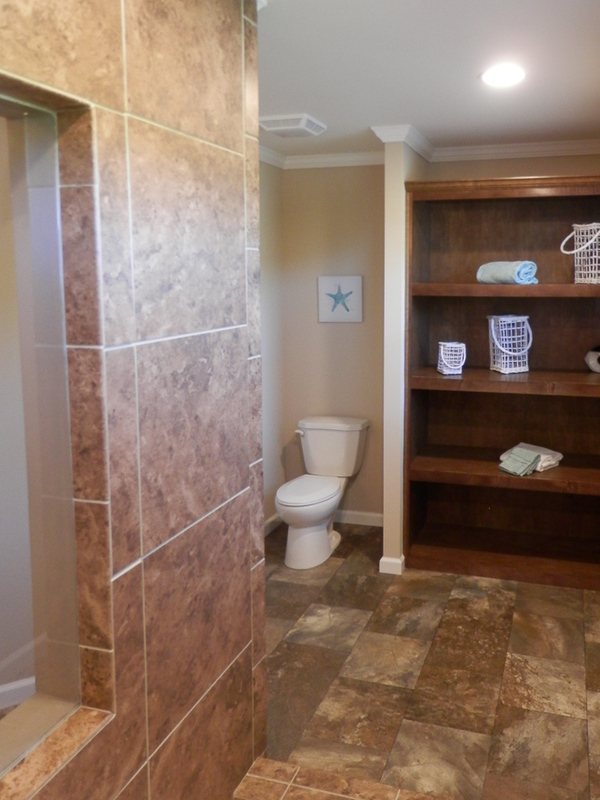 Standard Elongated China Commode and Tissue Holder shown with Standard Maple Shelving. 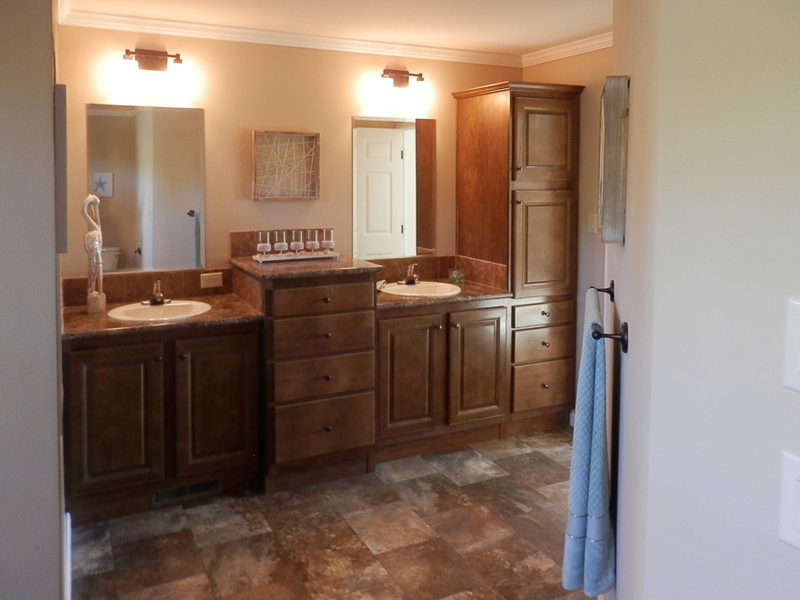 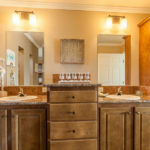 Standard Double Vanity with Single Lever Faucets and China Sinks. 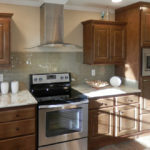 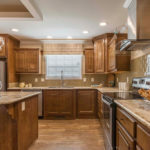 Jamocha Granite Counter Tops with Crescent Edge. 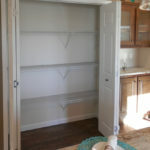 Standard Raised Panel Maple Cabinetry. 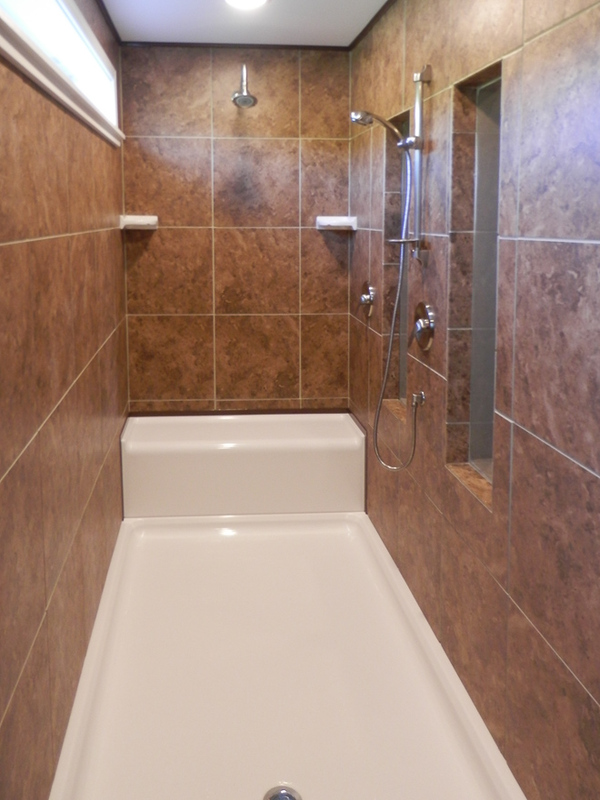 Standard One Piece, Fiberglass Tub/Shower Combo. 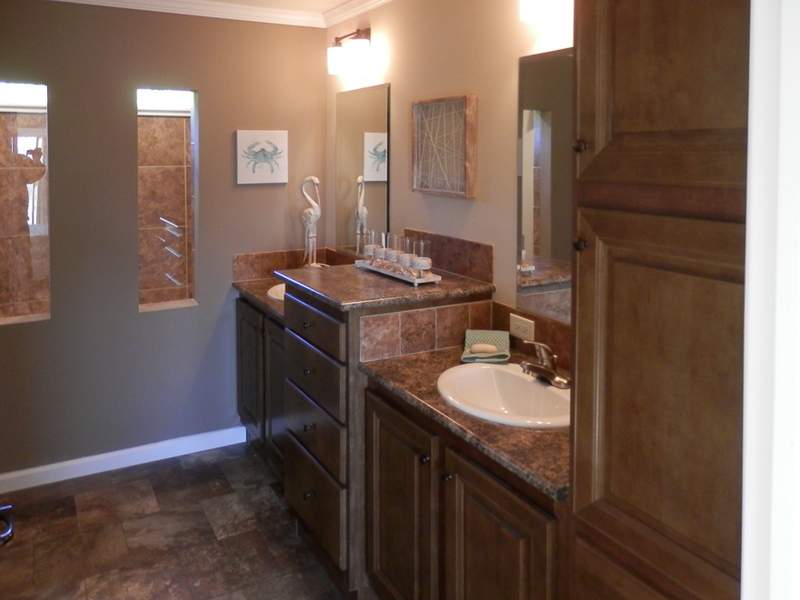 Standard China Sink with Single lever Faucet, Elongated China Commode, and Raised Panel Cabinetry. 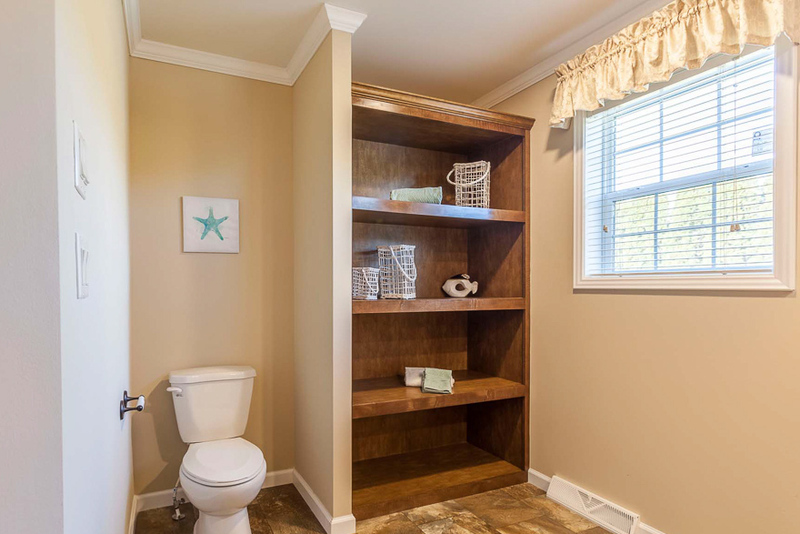 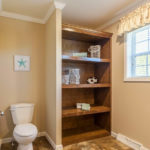 Optional Linen Cabinet above the Toilet. 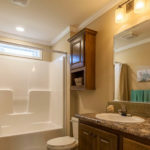 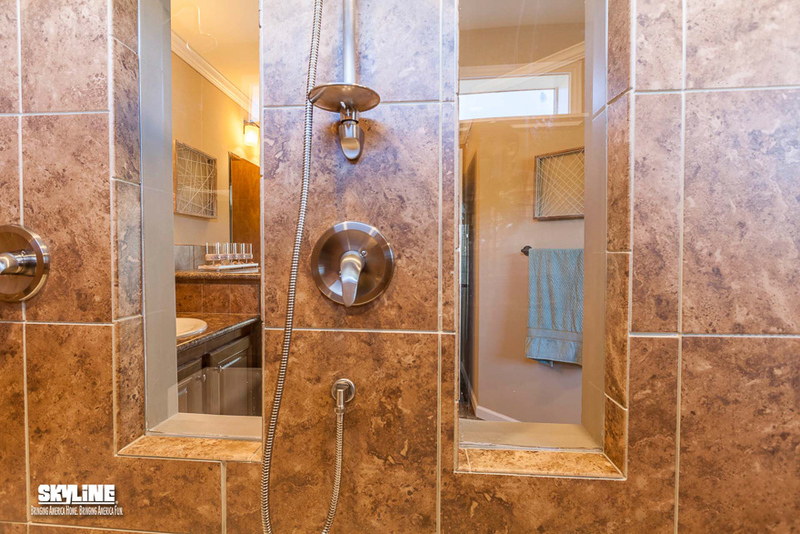 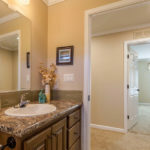 View from the 48″X84″ Tile Shower. 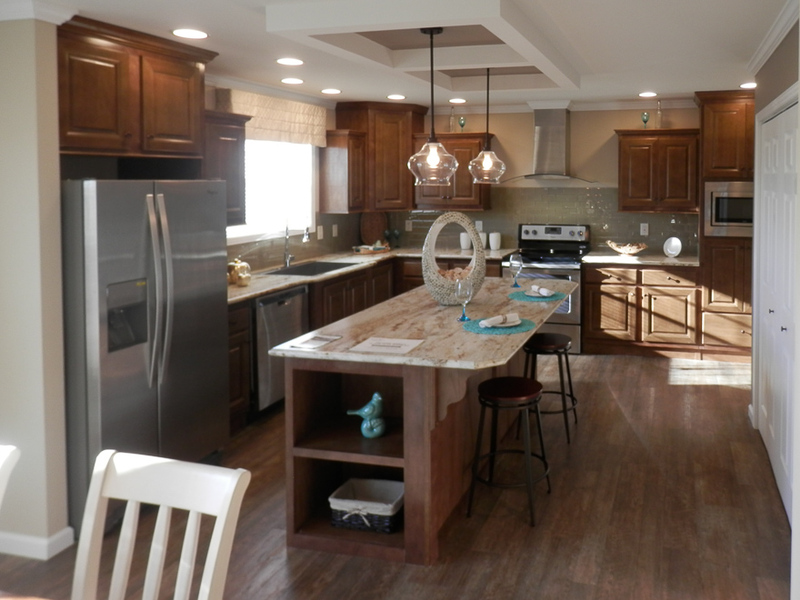 Standard 9341 Lino Flooring and maple Cabinetry. 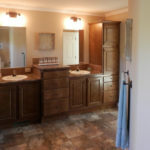 View of Double Bowl Vanity with China Sinks and Single lever Faucets. 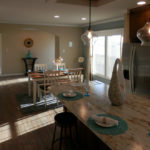 Jamocha Counter Tops with Crescent Edge. 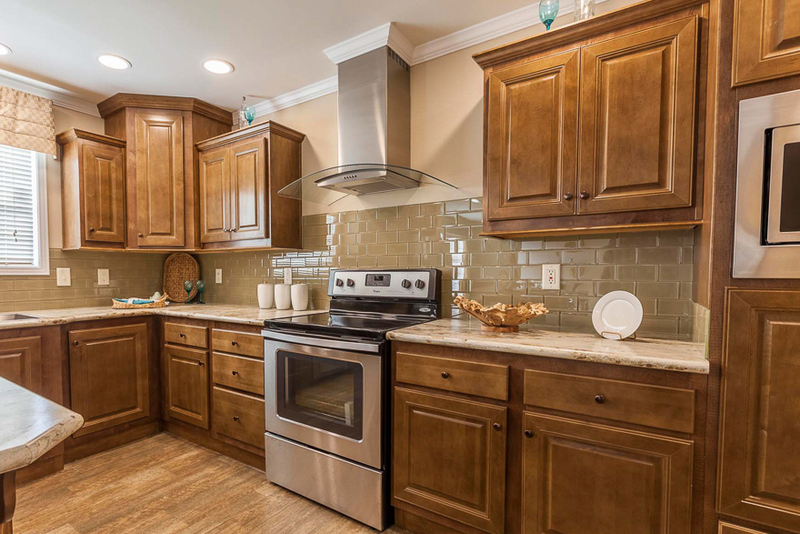 Standard Raised Panel Cabinetry and 9341 Lino Flooring. 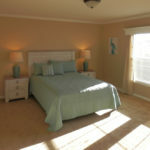 Large Master Bedroom shown with Upgraded Window Treatments. 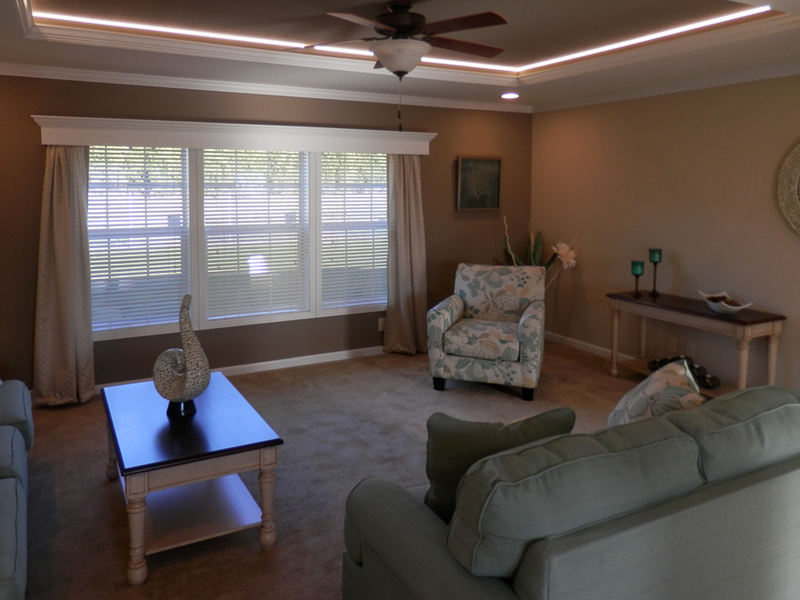 Ceiling light and White Crown Molding are standard in the Wood Manor Series. 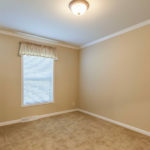 The Standard Drywall has been paintd the Upgrade Desert Castle color, Antique White is standard. 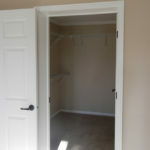 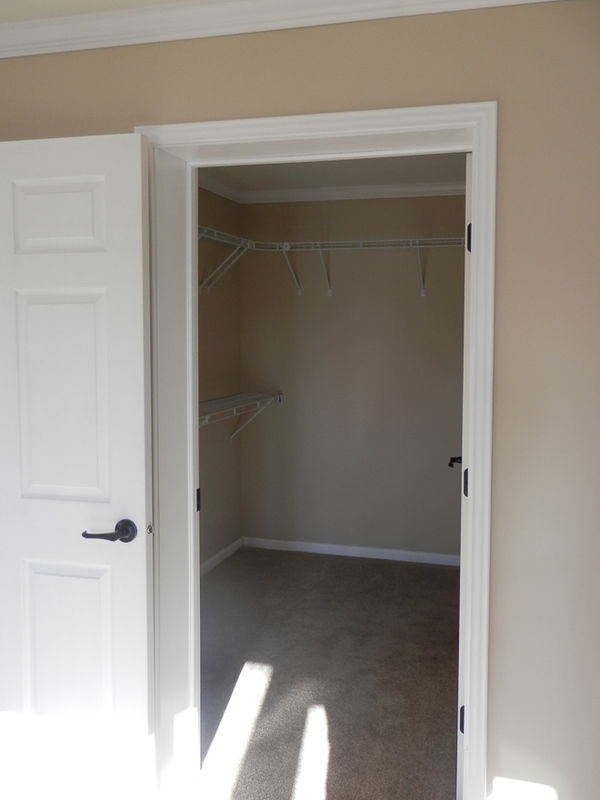 Bedroom #2 shown with Standard Closet. 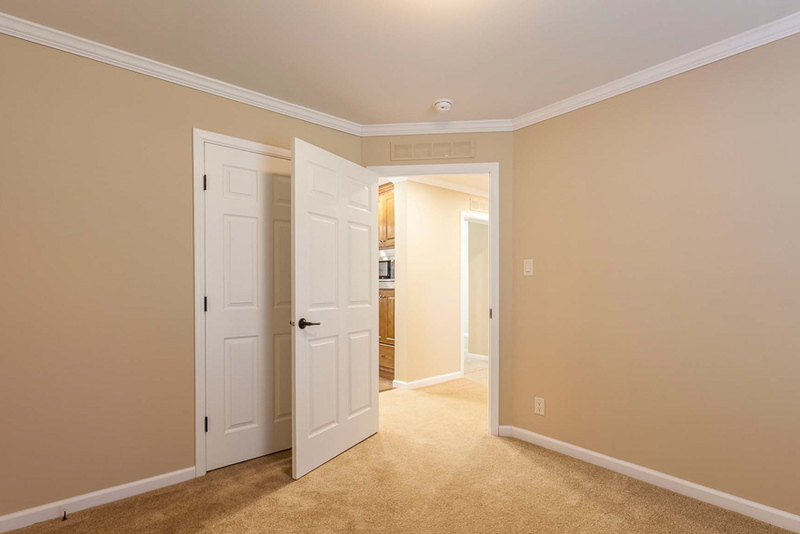 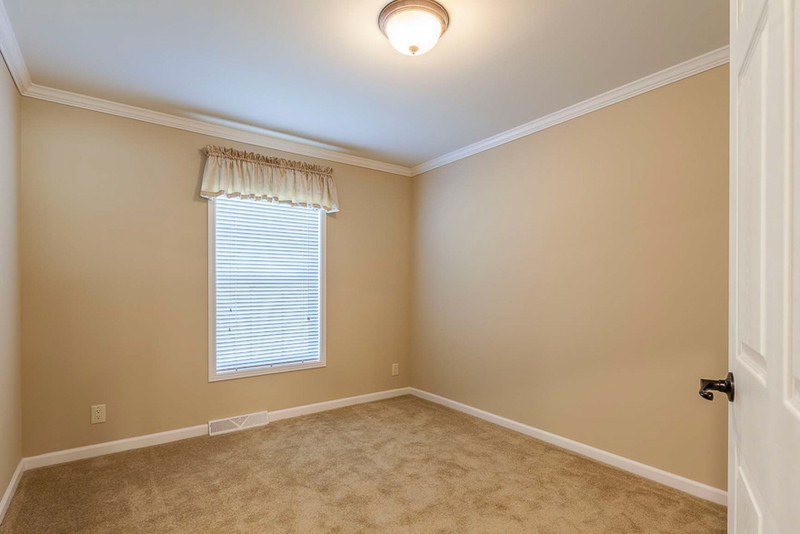 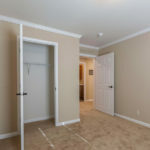 Standard Drywall painted with upgrade color Desert Castle, Standard White moldings and trim. 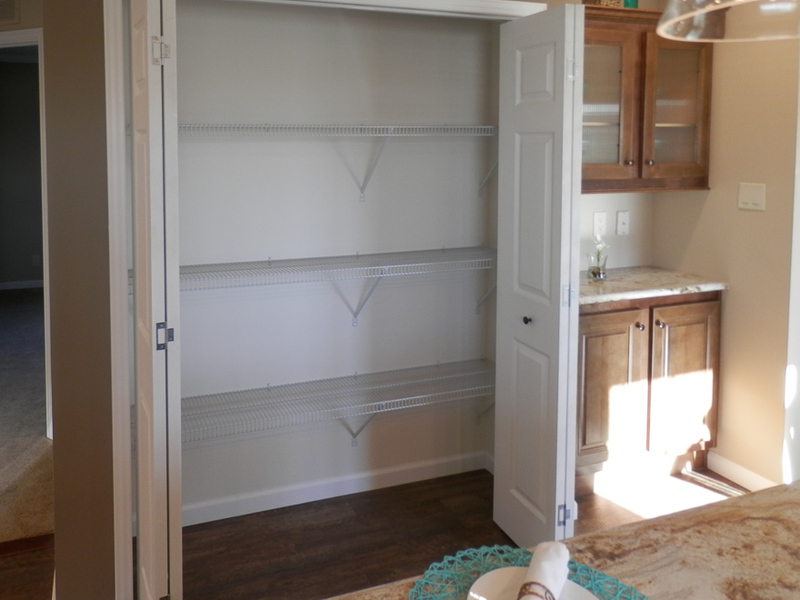 he Utility Room Features a Lighted Walk in Pantry with Standard Wire Shelving. 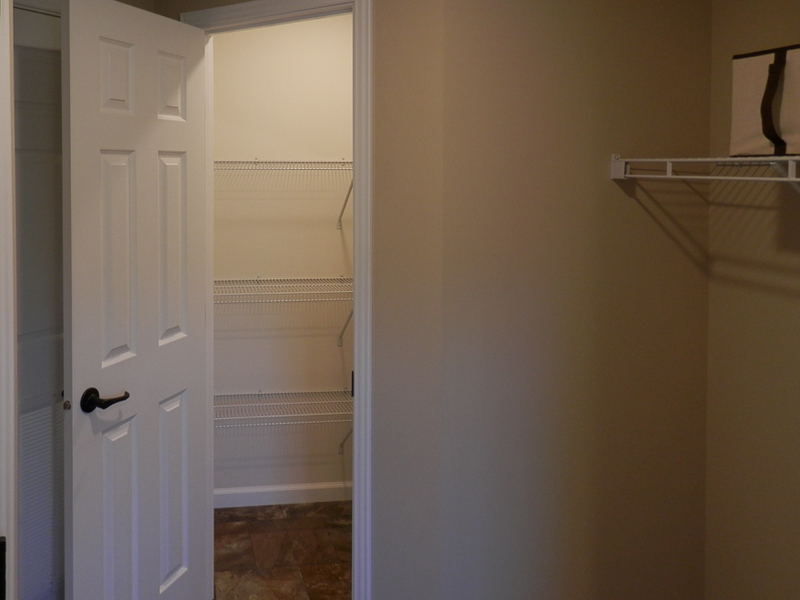 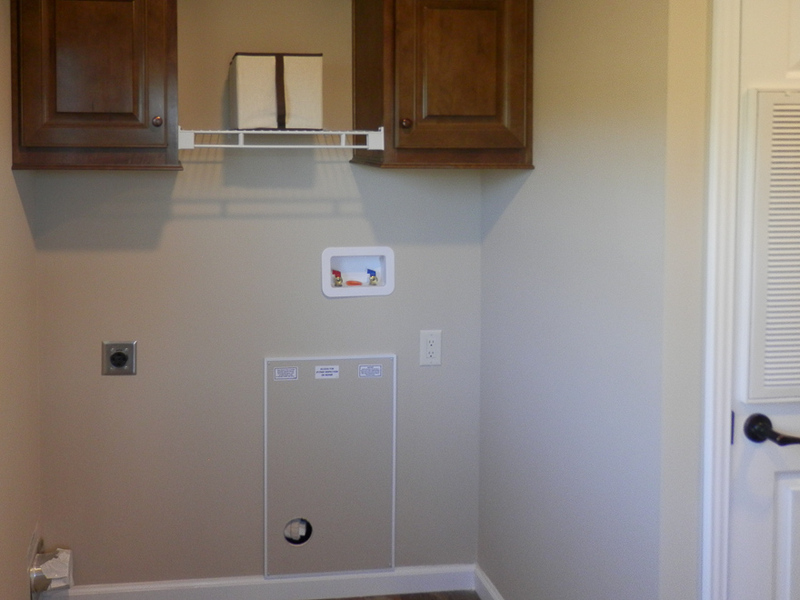 The Utility Room Features a Lighted Walk in Pantry with Standard Wire Shelving. 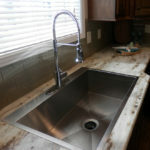 Upgraded Commercial Sink with Industrial Pull Down Faucet. 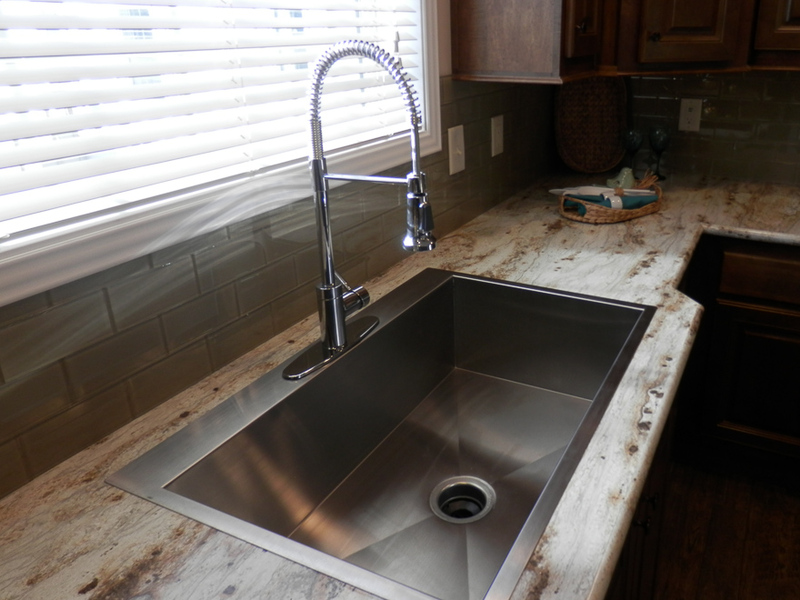 Upgraded River Gold Counter Tops. 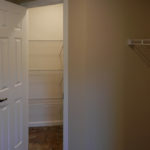 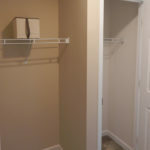 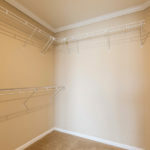 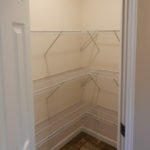 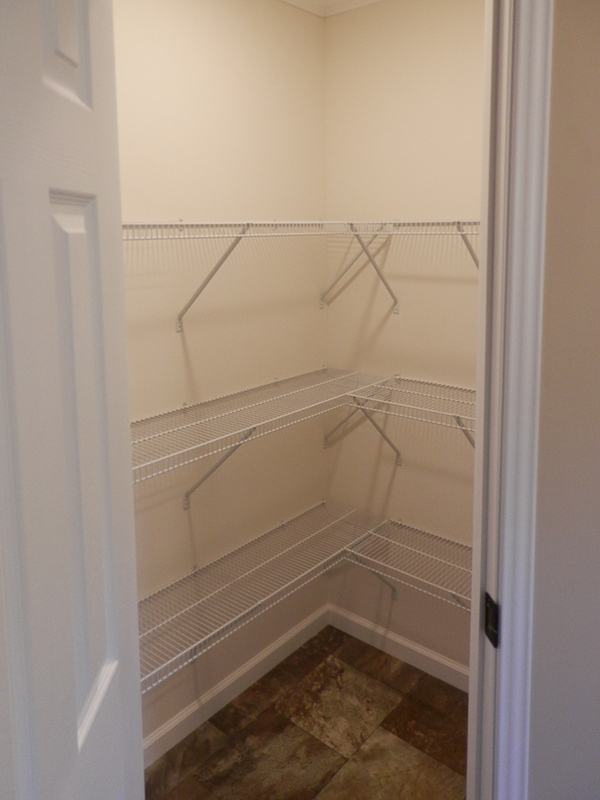 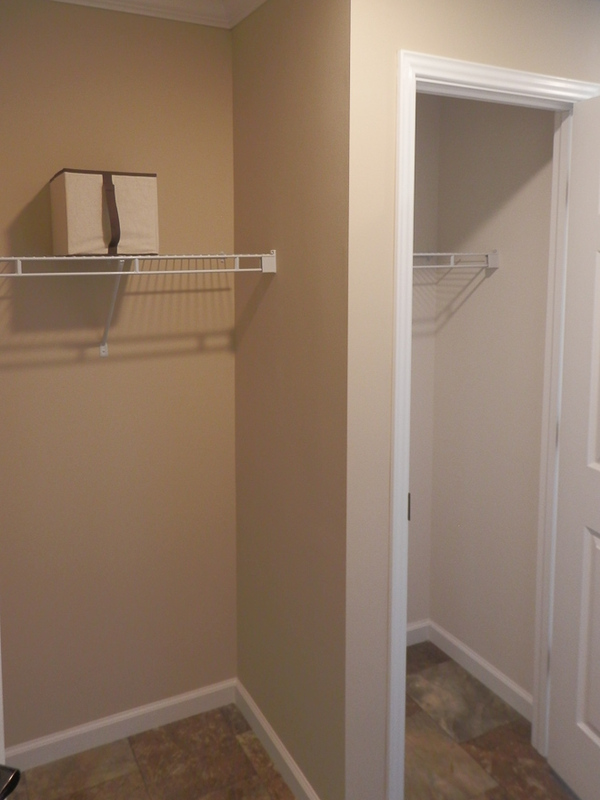 Utility Room Freezer Space and Guest Closet for coats and additional storage. 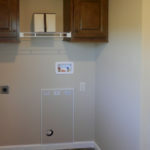 Washer/Dryer area with Wood Manor Standard Cabinets and Shelf above. 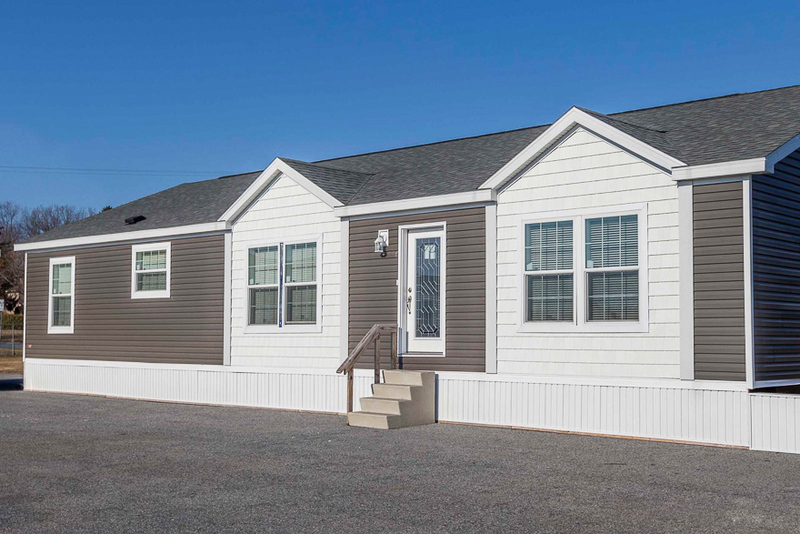 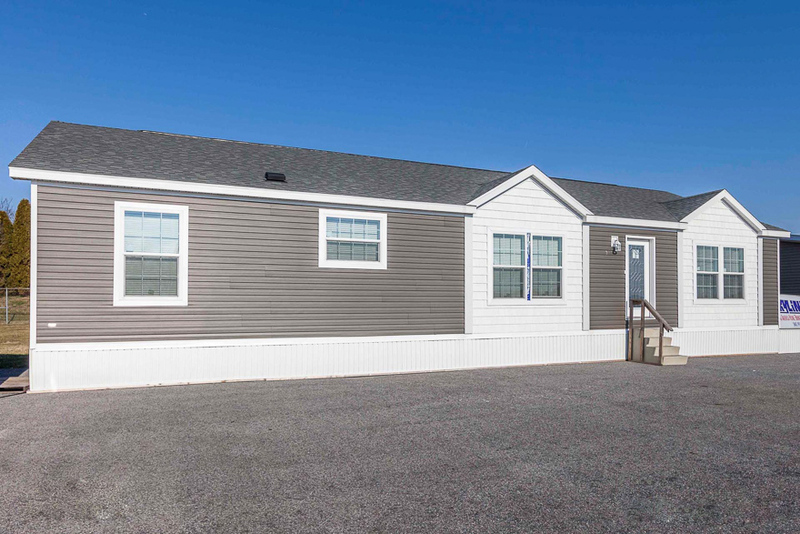 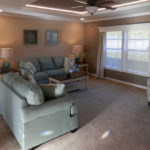 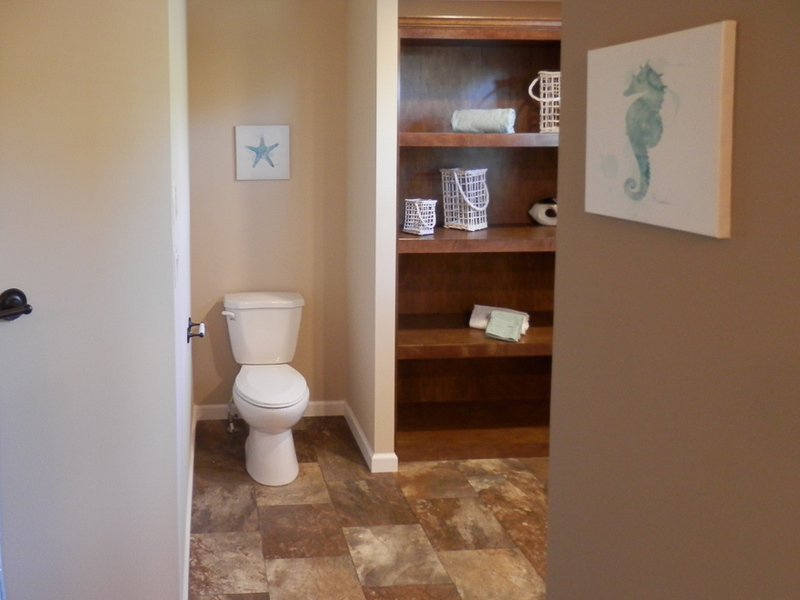 Ask your housing consultant about the other great features that come standard on the Catlin manufactured home.